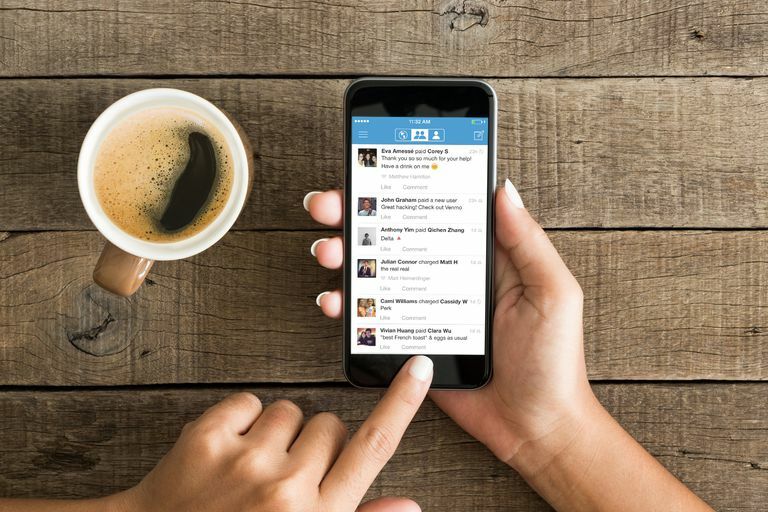 What is Venmo and is it Safe to Use? Venmo is undoubtedly convenient, and it offers industry standard security, but, like any app or software that deals with finance, it's not impervious to scams and fraud. How Can You Use Venmo? When you first sign up, your sending limit is $299.99. Once you've successfully confirmed your identity by providing the last four digits of your SSN, your zip code, and date of birth, you'll be able to send up to $2,999.99 per week. Venmo is free if you send money from your bank account, debit card, or Venmo balance. If you send money using a credit card, Venmo charges a three percent fee. There are no Venmo fees to receive cash or use it to make in-app purchases. Once you're set up, you can use Venmo nearly any way you like: pay a friend back for dinner, send your roommate your share of the cable bill, or request payments from friends or family for a shared Airbnb or HomeAway rental. Be sure to only use Venmo with people you know and trust. While PayPal owns the company, it doesn't offer the same purchase protection. So if you're selling something online to someone you've never met, it's best not to use Venmo for the transaction. Stick to PayPal or other payment services that offer protection from scams and can aid you in cases of non-payment. You can also connect your Venmo account to partner apps such as Delivery.com and White Castle. Then you can use Venmo to pay for purchases using those apps, and even split bills for cab fare, food, or other shared expenses. Mobile businesses can add Venmo as a payment option at checkout, much like you can already pay with Google Pay, Apple Pay, Samsung Pay, and PayPal, in addition to inputting a credit card. Venmo also has a social media side to it, which is optional. You can make your purchase public, broadcasting it to your network of Venmo friends, who can then like and comment on it. You can also sign up for Venmo using your Facebook credentials, which lets you find friends who are using the mobile payment platform. Venmo automatically uses multifactor authentication when you use the app from a new device, which helps prevent unauthorized logins to your account. You can also add a pin code for extra security. There's an easy way to avoid the first three risks, above: don't talk to strangers. We can't stress enough how important it is to use Venmo only with people you know and trust. While you can reverse payments on Venmo, it can be done only with the permission of the other user, as long as that user hasn't already transferred those funds to a connected bank account. Unlike PayPal, its parent company, Venmo doesn't offer buyer or seller protection, so if you don't get paid for something you've sold and shipped, you're out of luck. It's important to understand that while receiving payments on Venmo appears to be instantaneous; it takes a few days to process. In essence, Venmo is temporarily lending you the balance until the bank clears the transaction. It's similar to when you deposit a check, even if you can access the funds right away, it doesn't clear for a few days. If the check bounces, your bank will remove the funds from your account, even if it's days or weeks later. To keep your account safe from fraudulent transactions, change your password regularly and don't use a password you use elsewhere. Use a pin code and check your Venmo activity as carefully as you would a bank or credit card statement. Report instances of fraud to Venmo and your connected bank or credit card account immediately. Implementing all of these practices will keep your money safe.